The information contained herein has been provided by MFRMLS. IDX information is provided exclusively for consumers' personal, non-commercial use, that it may not be used for any purpose other than to identify prospective properties consumers may be interested in purchasing, and that the data is deemed reliable but is not guaranteed accurate by the MLS. Listings last updated Apr 20, 2019 7:12:pm. Determining your lifestyle or investment needs and desires are an important part of your purchase. You need a knowledgeable Team that knows the Community well! Nora Nelson & Team will work with you to find the right property(s) negotiate the right price and lifestyle that meets you, your family or investment needs. When it's time to "sell your property", you need the "Team" who will "NOT JUST LIST", but get your property "Sold", negotiate the purchase contract, oversee the inspections, handle all necessary paperwork and supervise the closing. Nora Nelson & Team are here for you from "List to Close". Nora Nelson & Team is here to help you place your property in the “Best” light possible … which can help you get top dollar. Things like staging the home, making repairs or minor improvements, or even simply painting the walls can be the difference between a home staying on the market and one that's "sold" to meet your time guidelines. 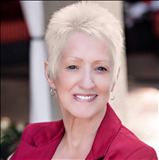 Hire Nora Nelson & Team to meet your real estate needs …not just today but for years to come!